Eucalyptus Chips offer natural relief for a dry, scratchy throat. 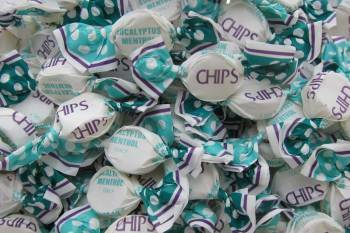 Individually wrapped, these tiny disks are a natural way to calm a sore throat. 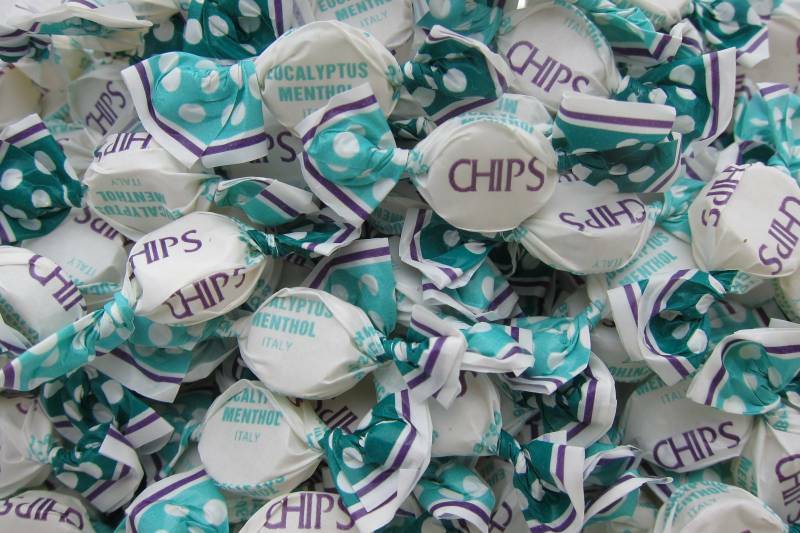 The menthol-eucalyptus flavor helps cool nasal passages and relieve a cough. They can be also enjoyed as a tasty and highly refreshing confection. Chocolate Peanut Clusters, Milk 8 oz.